MS is the most common immune disorder that affects the central nervous system, and is thought to be instigated by adulthood exposure to the Epstein Barr Virus (http://n.neurology.org/content/55/2/178.short​). However, this page is not a literature review. Therefore only a few quotations are included with links to those articles. Two doctors with diagnosed MS [Multiple Sclerosis] say unconventional treatment has cleared them of the symptoms of the previously debilitating disease. One doctor is Professor Jelinek, who devised his Overcoming MS (OMS) program after being diagnosed with MS himself in 1999. The other Doctor, Sam Gartland who was diagnoses with MS, found he could no longer walk from the carpark to his clinic. Following Professor Jelinek's OMS program, he too leads a normal, but very active life. Interestingly, that very activity may lie at the heart of their recovery. Activity, in conjunction with meditation, and healthy eating. So simple, but not readily embraced by the mainstream medical profession, which is a shame. Given that there are no harmful side effects which invariably follow the introduction of Medicinal drugs that are preferred by the Pharmaceutical cartel. Unfortunately, Stem Cell Therapy for MS is not available in Australia, but is has gained considerable success in Russia, and the following paragraphs state similar successes in other countries including the US and Switzerland. Personally, I would be looking first at Professor Jelink's OMS program, but should that fail, the following Stem Cell Therapy looks promising. Although expensive at $50,000 in Russia. 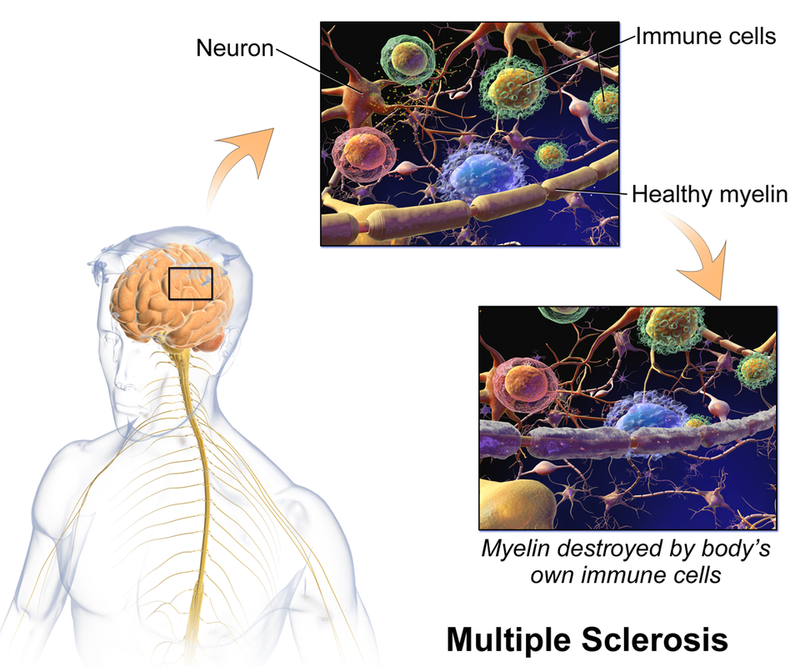 "MS Multiple Sclerosis is the most common myelin disorder that affects the brain and spinal cord. The body's own immune system attacks myelin (the coating around nerve fibers) and inflammation occurs, causing myelin to disappear. Because of it, nerves get damaged, creating scarring and plaques. 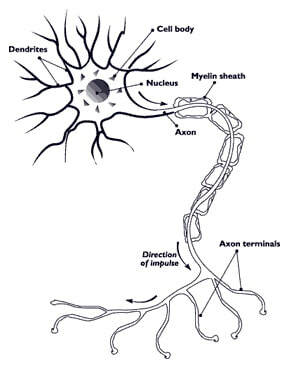 This disrupts communication between cells and can cause problems related to muscle movement, balance, speech and vision. The disease can progress to varying degrees of physical and cognitive disabilities. 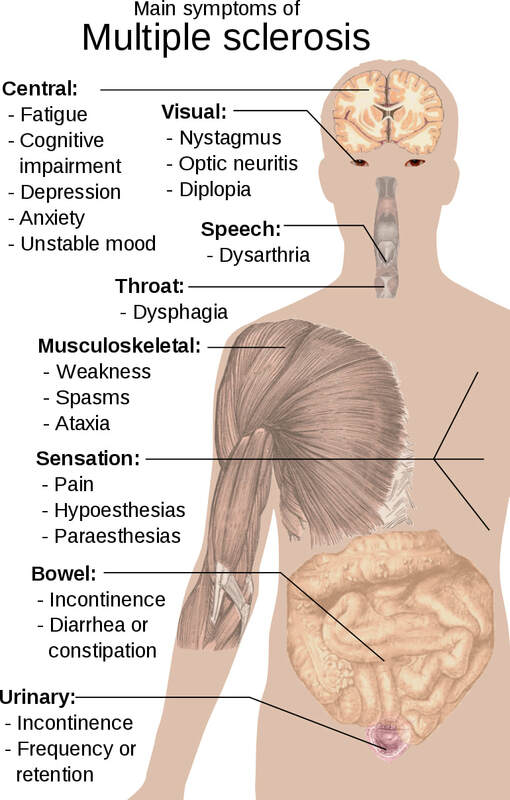 Multiple sclerosis, cerebral palsy, muscular dystrophy, stroke, amyotrophic lateral sclerosis and traumatic brain injury are the most commonly diagnosed conditions of the nervous system. Up until recent stem cell discoveries, treatment options were poor, and often not very successful. Symptoms progressed easily, and damage was irreversible. 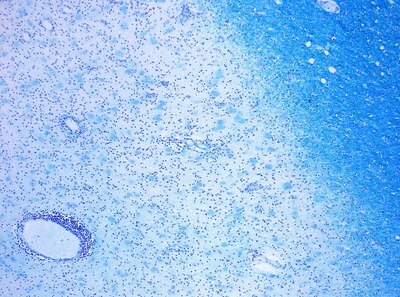 Treatment of multiple sclerosis with stem cells therapy includes four basic procedures. First is harvest, a fat extraction through simple liposuction process. Second is separation, stem cells are separated from fat in a centrifuge. Third is activation, stem cells with patient's PRP are photoactivated. Four is activation treatment, activated stem cells are returned via standard IV drip."